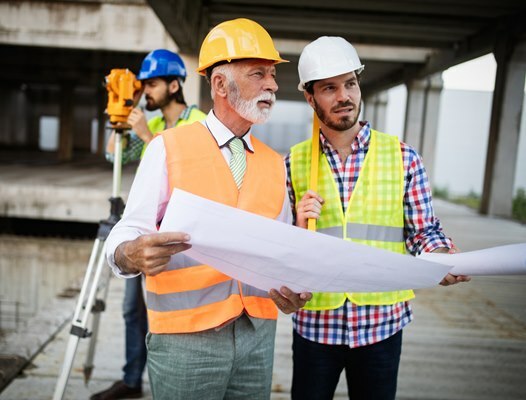 The Southwest region (Arizona, Colorado, New Mexico, Nevada, Utah and Wyoming) added 6,127 jobs focused entirely or partially on improving energy efficiency in 2018 according to the newly released 2019 U.S. Energy and Employment Report. Energy efficiency remains the top sector for energy jobs in the Southwest, ahead of oil and natural gas production, electric power generation, and other energy supply sectors covered in the report. The chart below shows the number of energy efficiency jobs in 2017 and 2018 by state. 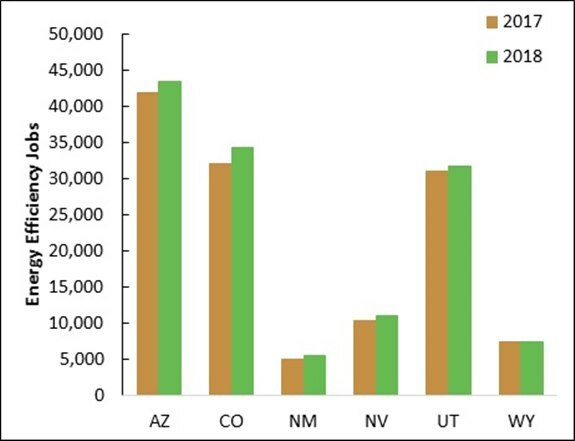 The number of energy efficiency jobs increased in 2018 in all of the Southwest states, with the biggest increase in Colorado followed by that in Arizona. Furthermore, the rate of growth in energy efficiency jobs in the Southwest was 4.8 percent in 2018, compared to 3.4 percent growth nationally. Public policies and other initiatives aimed at improving energy efficiency helped to boost the number of energy efficiency jobs in the region. Colorado in particular has increased the energy savings targets for investor-owned electric utilities and the utilities in turn have expanded the energy efficiency programs to help their customers save energy. In addition, a growing number of Colorado’s local governments have adopted state-of-the art building energy codes as well as requirements for benchmarking and disclosure of the energy performance of commercial buildings. Not only are energy efficiency jobs growing in number, they are not subject to “boom-and-bust” cycles like fossil fuels. In addition, the jobs are often created and supported by small businesses, providing opportunities for entrepreneurship. So while we often focus on the direct economic and environmental benefits of energy efficiency policies and programs, we should not neglect indirect benefits such as job creation. The 2019 U.S. Energy and Employment Report is sponsored by the National Association of State Energy Officials (NASEO) and the Energy Futures Initiative, two nonprofit organizations. The 2019 report used the same methodology that the U.S. Department of Energy used in preparing the 2017 U.S. Energy and Employment Report.